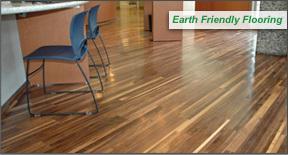 Recycled wood flooring composed of over 20 species of reclaimed hardwood discarded by mills around the world. Architects and designers love working with Staybull® because it’s the only brand of recycled flooring that blends perfectly with today's modern and green homes. Learn more about Staybull Flooring®. Is Staybull Flooring® for You? Anyone looking for custom made eco-friendly flooring that uses VOC free materials and can be installed over concrete would benefit from choosing Staybull Flooring®. Beauty - A dazzling blend of natural colors and patterns fit for contemporary, modern, or transitional design styles. 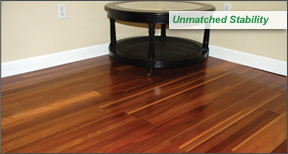 Stability - End-matched recycled wood flooring you can install over concrete without problems like cupping. 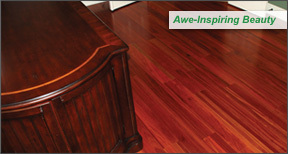 Eco-Friendly - Low-maintenance, VOC-free recycled hardwood flooring keeps indoor air clean.